Huge $55K price reduction in architecturally unique limestone & brick elevator building w/only 5 units! This home is loft-like & open w/9-foot ceilings, a granite/stainless kitchen, Brazilian cherry wood floors, marble baths, a gas fireplace, in-unit laundry, & an enormous 650 sq ft, wrap-around terrace. Heated garage parking available for $35K. 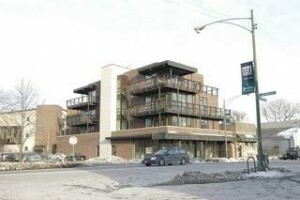 Prime location, near Fullerton/Ashland/Clybourn shopping & restaurants.